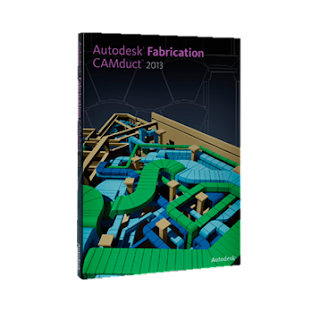 Autodesk Fabrication CAMduct 2013 software helps to control the production line of ductwork manufacturers. Fabrication CAMduct uses comprehensive libraries of parametric fixtures and fittings, which are driven by industry- or user-defined pressure-classes. Fabrication CAMduct helps firms of all sizes to meet their manufacturing deadlines and client requirements, improve productivity, and more quickly realize a positive ROI due to more streamlined job creation, better adaptability to evolving business needs, and a competitive advantage with BIM. Fabrication CAMduct software contains a large parametric library of rectangular, round, and oval ductwork components with associated developments. Set up components based on industry- or user-defined pressure-classes to better meet project needs. With post-processors built-in that support a variety of machine types, Fabrication CAMduct can help you to control your production line. Send efficiently nested ductwork components directly to CNC cutters, rectangular decoilers, tangential knift cutters, and routing machines. Extend Fabrication CAMduct into a Building Information Modeling (BIM) workflow with indirect interoperability with Autodesk Revit software products. 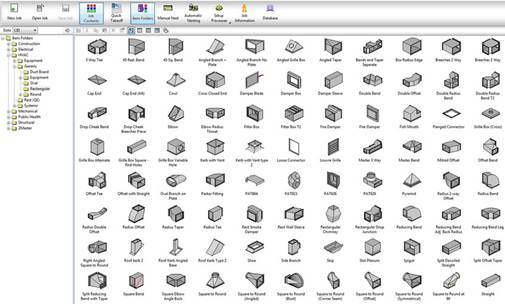 The common libraries and databases in Autodesk Fabrication software enable direct import of other Autodesk Fabrication file formats for faster job takeoff and manufacture. There are also 3 additional products to support Fabrication CAMduct. Help to maximize your productivity with Autodesk Fabrication CAMduct Components, Autodesk Fabrication RemoteEntry, and Autodesk Fabrication Tracker, which provide enhanced functionality to support job entry, component tracking, and remote ordering. If you are interested in any of the products in this range, please contact us.